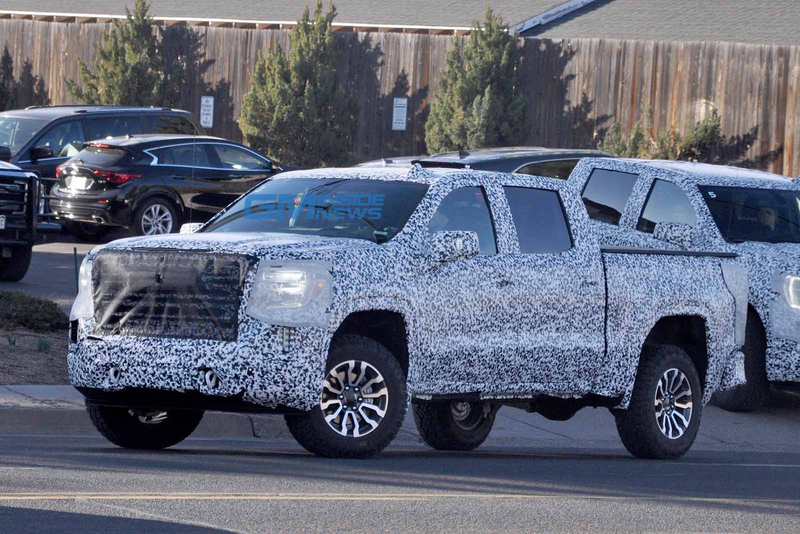 The 2019 GMC Sierra AT4 has debuted as a new variant for the upscale truck that will focus on off-road capability. 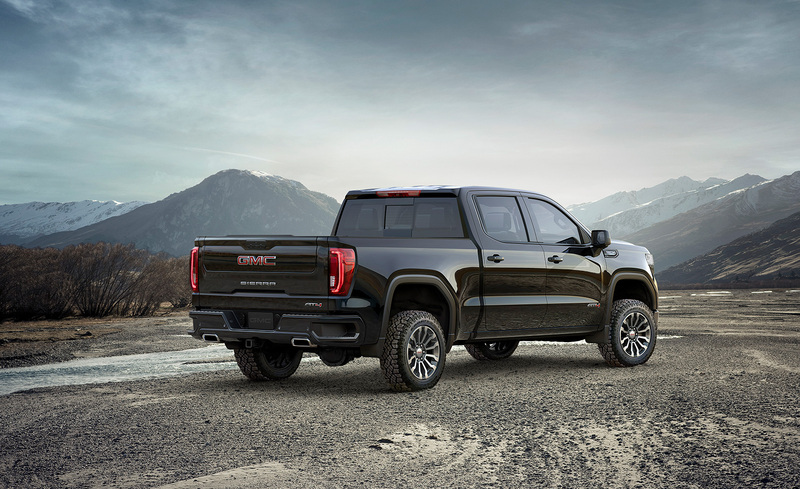 Revealed just before the 2018 New York Auto Show, the Sierra is the first GMC ever with the AT4 moniker, which will soon expand to the rest of the GMC lineup over the next two years. “AT” stands for all-terrain and the “4” means standard four-wheel drive. 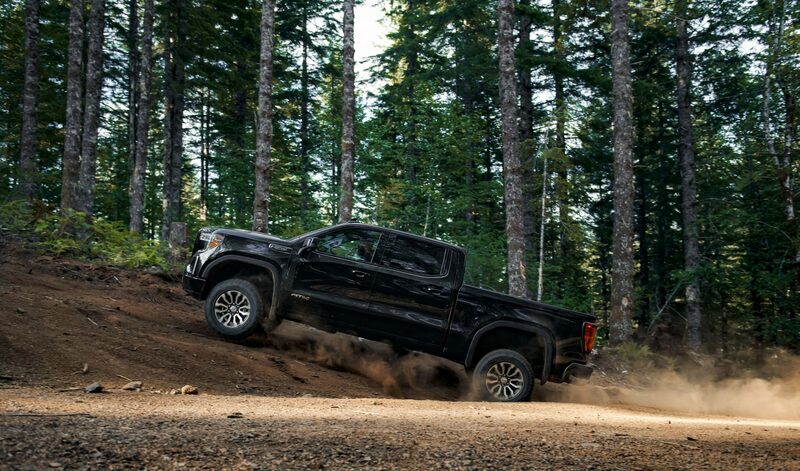 To beef up the Sierra’s off-road capability, the AT4 version (much like the Chevrolet Silverado Trailboss) comes standard with a tw0-inch suspension lift for increased ground clearance, standard AWD with a two-speed transfer case and a locking diff, skid plates, Rancho monotube shockabsorbers, hill descent control, Traction Select System, vertical red recovery hooks, 33-inch all-terrain tires (or mud-rated Goodyear Wrangler Duratracs), 18 or 20-inch wheels (that look kind of hilarious in the enormous wheelwells), a 5.3-liter V8, eight-speed transmission, and the useful multi-position tailgate that debuted on the higher trim Sierras earlier this year. That handy tailgate is standard on the Sierra AT4, as it’s expected to make loading motorcycles and ATVs much easier. 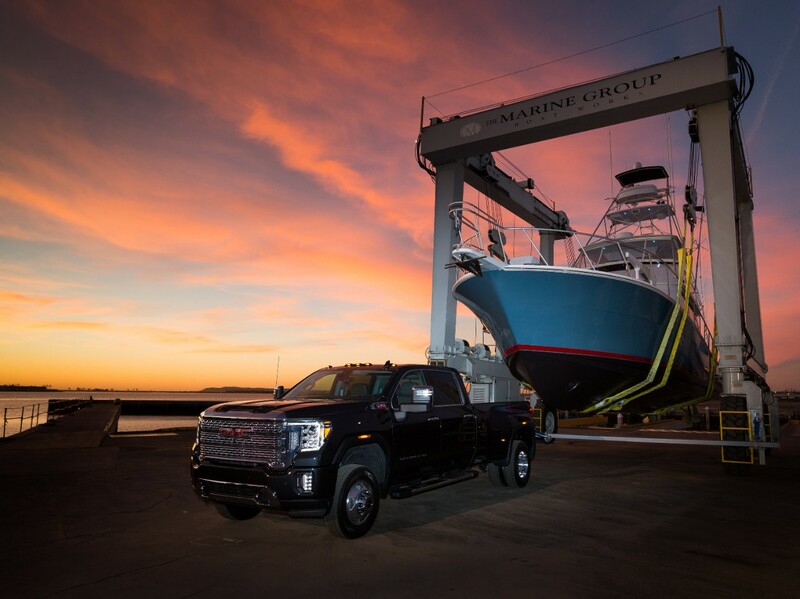 Optional equipment includes a customizable color head-up display with an off-road inclinometer, rear camera mirror (previously seen on Cadillacs), a top-down 360-degree camera, a carbon fiber box, and a suite of safety and driver assistance tech, among others. The carbon fiber bed, which has additional tie-downs, has wheel indents built right in to help secure bikes and ATVs. 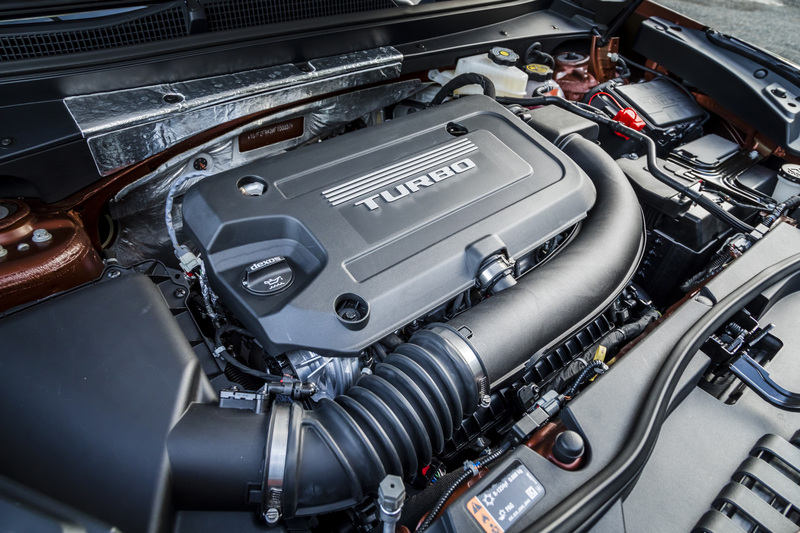 Customers can also upgrade to the 6.2-liter V8 or Duramax 3.0-liter turbo diesel paired with a 10-speed transmission. Both the V8s have engine stop/start and cylinder deactivation that can run on one to eight cylinders. Visually, the Sierra AT4 gets dark exterior finishes, body-colored bumpers and grille surround, and touches of red all around. Inside, the two-tone seats get AT4 embroidery, all-season rubber floor mats, and all the driver assistance and safety tech you’d be right to expect these days. 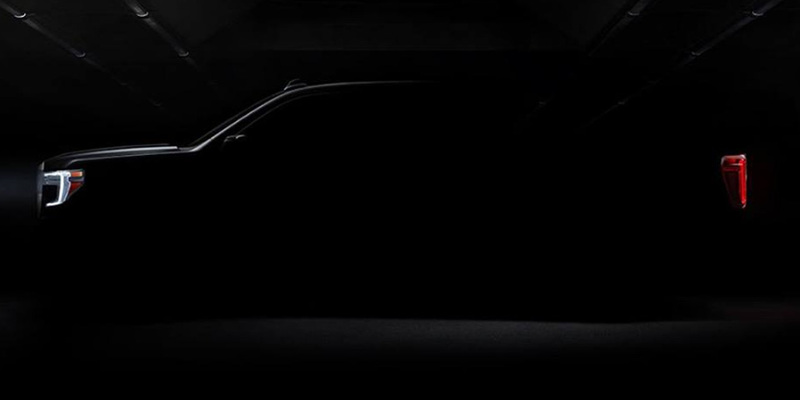 The 2019 GMC Sierra AT4 goes on sale this fall and pricing will be announced closer to its launch.